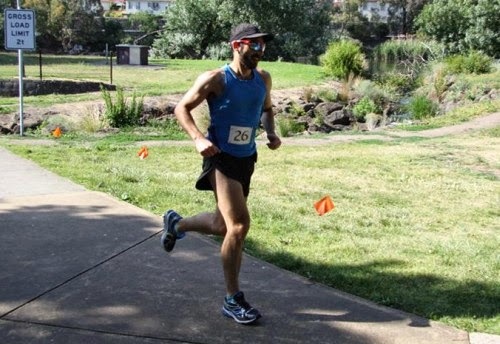 Last Sunday I ran in my final race for the season, the 10km Coburg Lake Classic. Organised by the passionate people at the Coburg Harriers Athletics Club, this event attracts a small local field of runners. 5K run and walk options are also available. Last year I managed to run the tough undulating course along the Merri Creek bike path in a time of 45:23. After my amazing run at City2Sea I was hoping to run sub 44 minutes. But it wasn't to be, with conditions once again getting the better of me. Now this was a fun run! The distance was just right, the course was fast, scenic and enjoyable and the temperature was perfect. In the lead up my training had gone well and everything went right on the day. It showed with my result. Even though this year's course was a kilometre longer than last year's, I still managed to take more than a minute off last year's time! 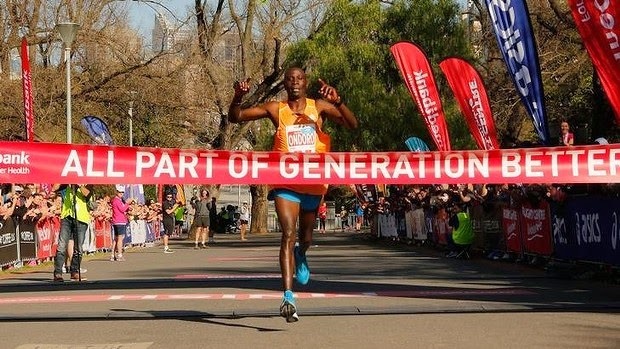 Last Sunday's Melbourne Marathon turned out to be a race of two halves. In the first half I was smashing it and on track to finish in sub 3:40. In the second half I saw a huge positive split as the Sun came out to play and I struggled to control my heart rate in the rising heat. It turned out to be the toughest event of my young running career. Well, well, well it certainly has been a while!!! Some of you may be asking where is The Jangulator? What has he been up to? Well I'm back and just in time for next Sunday. What is happening next Sunday? The Melbourne Marathon of course! Waiting for the start of the City2Sea. Running has become such a big part of my life that its difficult to remember a time when I was not running and training for an event. Yet my first running event was only a year ago at the 2012 City2Sea. I've done more than 1000km of running since then and taken part in quite a few events but I'll fondly remember that gorgeous spring day last year when I donned a race bib for the very first time and surprised myself by completing the 14km course without stopping in a time of 1:09:27. So I had been looking forward to the 2013 installment to see how much I had improved. A record field of close to 14,000 people ran this years event which is incredible considering that on the same day there were more than 12,000 participants at Run Geelong and the Shepparton Half Ironman was also being held. Just like last years event, my brother in law (catch his hilarious blog entry) was also running the 14km and my wife drove us to the event and took most of the photos of the day.